Home / Blog / What Can Variable Gaging Do For You? Micrometers, calipers, and scales are some of the measuring instruments that are used in a wide range of manufacturing processes because they are cost-effective and easy to use. If you are just looking to get a quick indication of a part’s size, they will suffice. However, these tools require a skilled operator and proper alignments must be made to produce reliable results. That’s why their measurement speed, performance, and accuracy are sometimes limited. If you are looking for alternatives that can help you qualify parts in an easier, faster, and more accurate method, you should look at variable gaging. These gages can help you compare a part to an external standard and more without much operator involvement and influence. Let’s find out more on what variable gaging can do for you! Variable gages are recognized for their abilities to provide the data necessary for its shop and its user to make sound decisions about one or more process trends. It can also help you diagnose manufacturing issues and provide some information about the form of a part. Fixed gages, on the other hand, only provides good or bad classification, and indicate the size differences between a part and the master being used. Adjustable-variable gaging tools are recognized for their ease of use and ability to work faster than most hand tools. What’s more, they can set to a new master size and adjusted over a range. 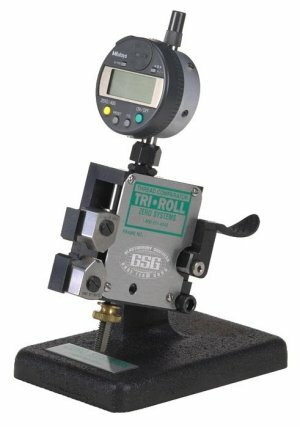 Some examples of adjustable-variable gages include bench stands, inner and outer diameter gages, and adjustable snap gages. If you are looking to get adjustable-variable gaging tools to facilitate measuring procedures, you may be pleased that they are also less susceptible to operator influence, thus providing significant improvement to the said process in any shop environment. Variable gaging is by far the most accurate solution for shopfloor measuring, and they do not require specialized user skills. If you need to measure thousands of parts quickly, but faced with a tight tolerance, your go-to variable gaging solution should be a fixed-variable gage. With that, some fixed-variable gages include air plugs and rings, mechanical bore plugs, and more. One of the advantages of the latter lies in its built-in clearance. The clearance is so small that it makes it impossible for you to influence the reading. Some variable gages feature tiny air jets and are suited for unique multiple-diameter applications. These gages also perform well at generating basic form indications. That’s why you never have to worry about physical contacts passing the motion of variable gages through transfer rods to the indicating device. As long as you aware of their limits on surface finish and range, you are good to go. Mechanical plug gages offer extra portability because they do not require a constant supply of clean air to operate, and are not tied to a display unit with an air hose. This is also the reasons why they require less initial investment. As you can see, variable gaging is undoubtedly a better solution than conventional measuring tools, especially in high-volume production. When you choose your variable gages, make sure you consider their overall cost, ease of use, and performance.